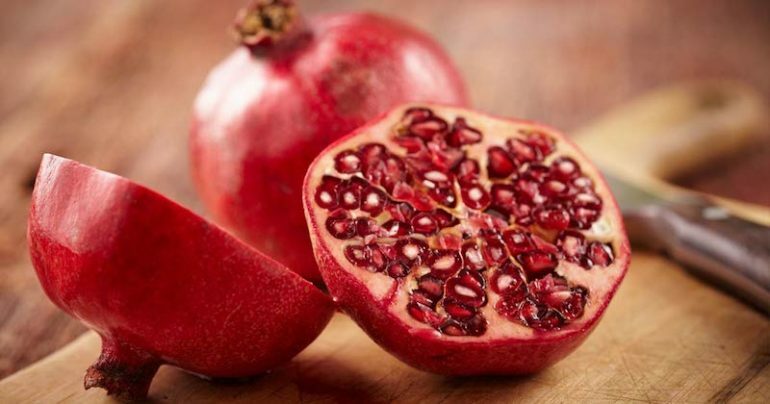 There isn’t a better healthy snack than the seeds of the pomegranate, they simply are the best. They are also used in a lot of smoothies and salads. But sometimes people who are dealing with diabetes, are recommended not to consume fruits or fruit juices. But do they really need to avoid them that much, especially the pomegranate? Well, mostly people who are in that situation are avoiding fruits or fruit juices, because their doctors said so, and they are recommended to do that because the fruits can cause some spikes in the blood glucose. But according to the latest studies, people who are dealing with diabetes, don’t need to avoid the pomegranates. If you like pomegranates and you want to know how they are helpful keep reading below! Are people with diabetes having any benefits from pomegranates? The function of the beta cells can be supported and increased by the consumption of pomegranate juice (fresh made). These beta cells are the ones that produce insulin. This juice is also able to stimulate the beta cells to produce more insulin and with that the insulin resistance is decreased. With this the sugar in our body is used properly. Also the pomegranate juice is very beneficial in younger patients and in people that have low fasting blood sugar levels! There was a recent research, in which was proven that the pomegranate juice is also helpful for the diabetics, because it reduces the risk of developing a heart disease. In this study the participants have consumed the fresh pomegranate juice for nearly 3 months. The risk of developing atherosclerosis was reduced. Atherosclerosis is a dangerous disease, in which the arteries are hardening. Also it was concluded that the pomegranate juice was able to decrease the absor[tion of the LDL cholesterol (bad cholesterol), which was actually absorbed by our immune cells. In fact, people who are dealing with diabetes have a greater risk of getting atherosclerosis, and that disease can lead to many heart diseases, like stroke, heart attack, etc. According to the study, the risk of getting a heart disease which is related to diabetes, is actually reduced by the antioxidants that are contained in the pomegranate juice. A study was done, in which the participants drank 1.5 ml of the pomegranate juice per kilo of their own body weight. In the participants that consumed the juice, there was a huge drop of the fasting blood sugar levels which all of the researchers noticed! The pomegranate is very different from the other fruits that also contain sugar in free forms. The pomegranate contains sugar, but the free sugar is attached to the antioxidants that are contained. This fruit as you see, is very beneficial and helpful, especially for people that are dealing with diabetes. These people have always been recommended to avoid all fruits or fruit juices that contain sugar, but the doctors were wrong, they forgot about the pomegranate. The fruit that has sugar in free form that is attached to its antioxidants, the fruit that improves our overall health. Here is what you want to do, if you want to experience the benefits and positive effects of the pomegranate. Just consume 1 pomegranate or freshly made 1 cup of pomegranate juice. If you want to consume the juice, make it yourself, because only that way you will make sure it is natural and fresh! Caution: Before doing anything by will, consult with your doctor or a specialist. Don’t just include the pomegranate to your diet, be very aware that you might be allergic to it. Share this article with your close friends if you find it useful and interesting!